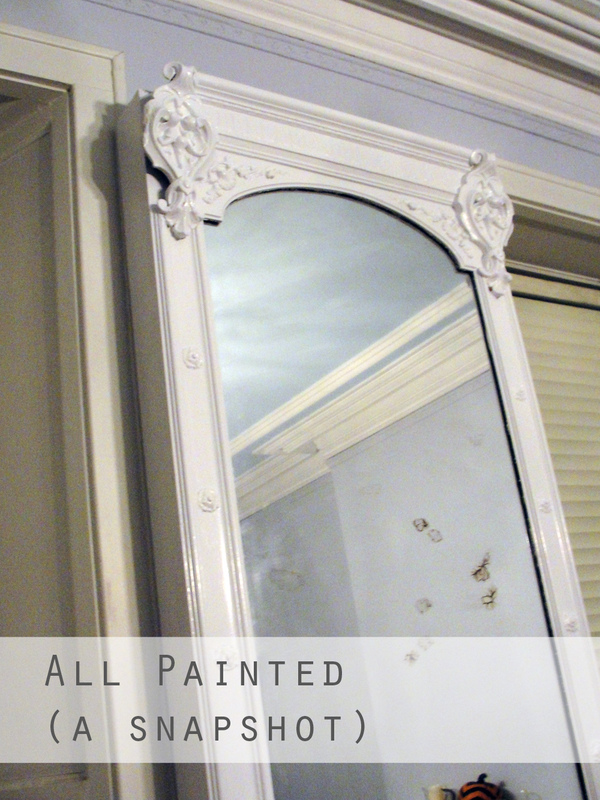 After painting my living room walls there was still an eyesore in the room. It was my mirror. I live in a historic building that has a lot of incredible detailing throughout. Unfortunately, it’s been an apartment for some time and things haven’t been kept in the best shape. The 7-foot mirror in my living room falls under that state. 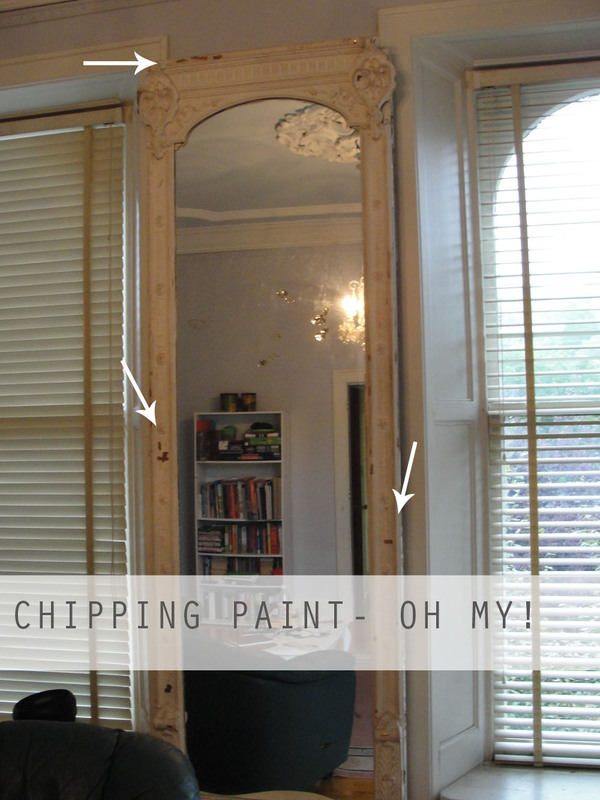 The mirror itself has imperfections, but the worst part was the chipping paint all along the wooden surround. First he chipped off all the old paint. Underneath the white there was an awesome gold paint. 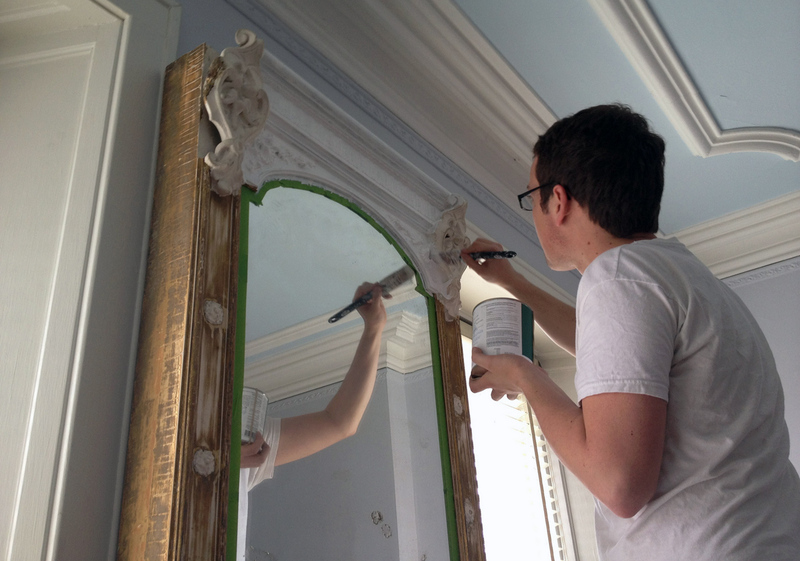 Once the old stuff was off, George tried using paint stripper to maintain the intricate woodwork. Unfortunately it didn’t do much of anything. Painting was straightforward. We taped off the mirror to make it easier. 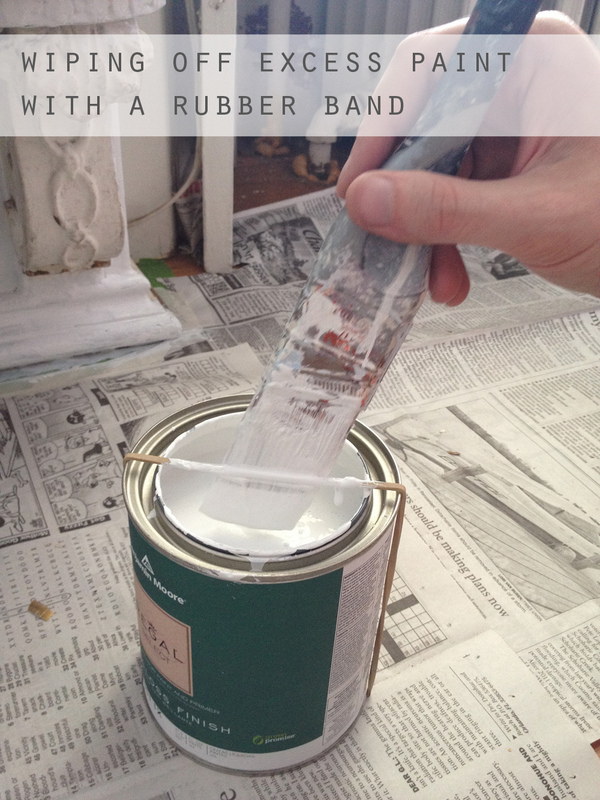 I also had him use a trick I found online with a rubber band around the paint can. It’s an easy way to brush off the excess paint. I decided to go with white paint because it’s basic and makes a nice contrast with the bluish gray on the walls. I’m really pleased for the final product. It looks so much better. Now I’m off to finish my salon style wall! ← Use those coupons for free clothes! 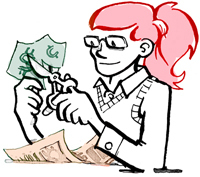 I love the concept for your blog and especially re-purposing of things with “great bones”. I am an addicted, long-term chronic crafter of decor things and I do it for the cheap thrills. Also, I love the title of your blog. Thanks! My whole apartment has “great bones” but has seen a lot. I’m working on making it the best it can be.